To the visionaries at Jabra, there is only one goal: to make life sound better. The Denmark based company has been in the biz for long over a century, creating the best-in-class sound solutions for calls and music experience. With a penchant for being the first to bring the newest technologies to the market, the company continues to push the limits as it expands the world of “Truly Wireless” headphones. And, as the only brand in the world to create consumer headphones, professional headsets, and hearing aids all under the same roof, there is no doubt that they’ll step up to the challenge. We had the pleasure of sitting down with Peter Hartmann of Jabra to gain insight into their new Elite Truly Wireless formfactor audio solutions, and to hear just how NXP’s MiGLO NFMI technology helps enable it. Q: So, tell us about your company. What is your mission? A: We have been in the audio solutions industry for almost 150 years, so our current roadmap and solutions are a result of a combination of innovation, experience, consumer input and various others elements in the world around us. Our purpose, however, is simple: “Making Life Sound Better.” By being the leaders in intelligent audio solutions, we are constantly transforming people’s lives through the power of sound. Q: What is the objective of the Elite Sport designs? What makes them special? A: The Elite Sport is focused on delivering great wireless audio to an active, athletic consumer. It is equipped with an embedded biometric sensor, which can collect data to be used to evaluate the performance. Elite 65t is a solution developed for everyday use. With optimized microphones and a fitting solution that requires less customization, it is a multipurpose solution that we want people to use when they commute, walk, work on-the-go, go to the gym – essentially everywhere. 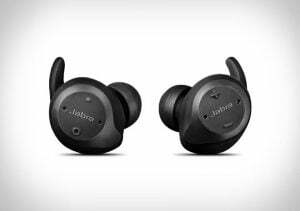 As a second generation of Truly Wireless we have launched the Jabra Elite 65t with an enhanced microphone solution as the perfect audio gateway to your preferred Digital Assistant. The consumers will benefit from great quality of wireless audio without any dropouts, no matter what they are doing and where they are doing it. Q: How did Jabra hear about MiGLO NFMI? Why were we the right fit for you? A: It’s a boring answer, but it was our technology team that recommended your solution for stability. NXP was introduced to the product management team 3 years ago as a technology partner that could deliver a more stable connection between the left and right earbud in our first truly wireless solution. This is critical, as The Truly Wireless formfactor is enabling people to communicate and listen to music no matter where they are and what they are doing. 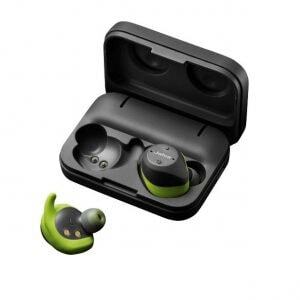 MiGLO, as one of our technology partners, has helped us bring a new wearing style of wireless Bluetooth headphones to the consumer electronics market. Q: What’s next? How do you see your designs, as well applications like NFMI, evolving? A: We want to continue our journey to develop the best intelligent audio solution that will allow our users to Hear More, Do More, and Be More than they ever thought possible. We believe that small intelligent audio solutions will be the digital gateway to an increasingly digital world. That voice will be the new UI. So elements such as size, comfort, audio quality, power consumption are going to be extremely important parameters.